It’s easy to think of global warming as something that happens at a steady pace everywhere in the world. But that’s not the full story. It’s true that the global average temperature has been rising overall since modern record-keeping began, and it’s true that 2014 was the hottest year on record, but the rise hasn’t been perfectly steady. Each year isn’t always warmer than the one before, and some places (the Arctic, for example) have warmed faster than others. When you zoom in, even different regions of the U.S. have warmed at different paces. 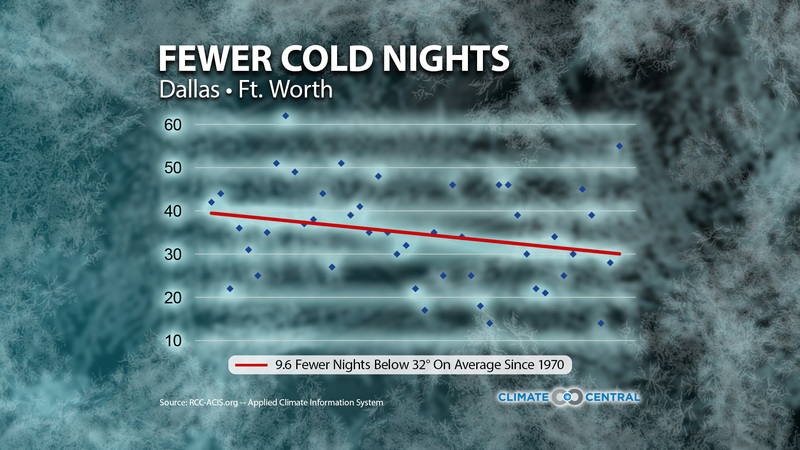 MORE: See our associated news story for additional details: Cold Nights Are Decreasing Across the U.S.